G'day! Here's Jenny & Shelley, chillin' at HPPR Studios in Amarillo. 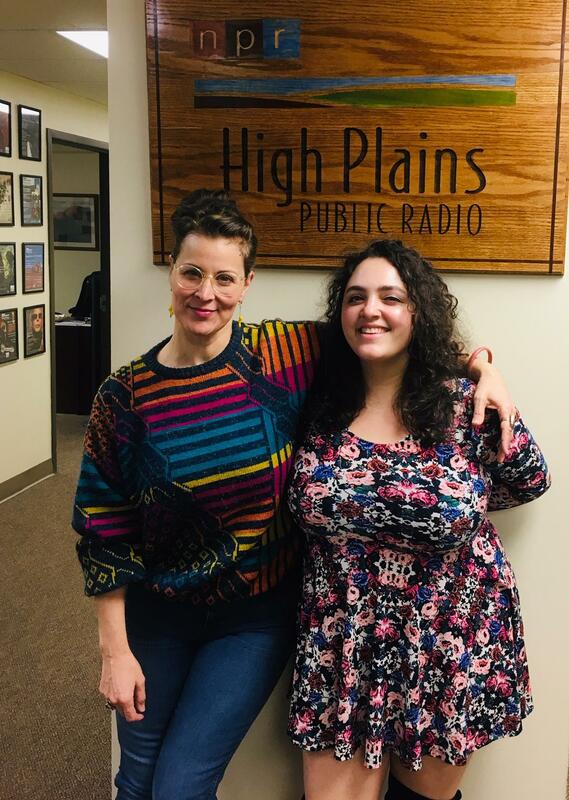 Indie folk artist Shelley Segal, hailing from Melbourne, Australia, is in the Texas Panhandle for a show tonight, and she stopped by HPPR Studios for an in-studio set on High Plains Morning. Check out her new EP, Holy, and stay tuned to HPPR for more of her tunes. She’s playing tonight at the IC Gallery (1501 S. Washington St., Amarillo) at 7:30pm CT. Thanks to Shelley & her buddy Rob for stopping in for a pre-lunch serenade! Here's the full interview, with songs and everything.